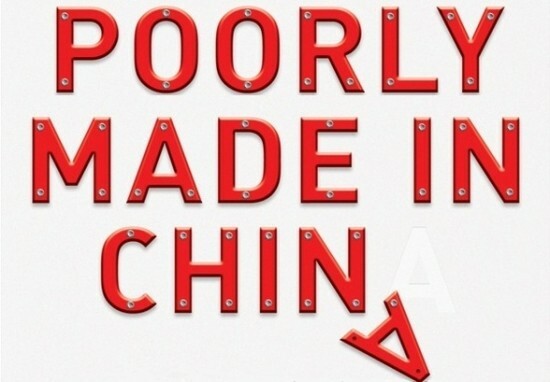 Poorly Made In China by Paul Midler gives a unique insight into the china production game. Midler holds an MBA from the Wharton School of Business and a master′s in international studies from the University of Pennsylvania′s Lauder Institute. Having worked directly with hundreds of manufacturers in Southern China for over 20 years he has first hand experience of what goes on behind the scenes. His role in it all is quite unique, as he serves as the link between Western importers and their Chinese suppliers and so we can get a good insiders perspective of both sides of the deal and what the driving forces are that motivate the concerned parties. This book is hugely valuable towards understanding the production game and the reasons why manufacturers behave in the way they do: manipulating product quality levels in order to save the smallest amounts and letting savvy business leaders feel in control when they were being taken for a ride. Announcing last minute rises in price at just the right time when importers, pressed by deadlines, are in no position to turn them down. It reveals the clever ways in which Chinese manufacturers gain leverage over their foreign customers. It’s not a book that should be read as a how-to guide for doing business in China. It’s more of a warning. Don’t expect business to be plain sailing. Working with the Chinese can be beneficial to both parties if you know what you’re doing and they can help your business; but they have their own business to cater for as well. So while they help you, it’s only natural that they will try to help themselves in the process. This book reveals the ways in which Chinese manufactures make their way, gaining rewards while shifting the risk onto their partners. It seems immoral, sneaky and deceitful but as far as things go in China is fair game. If you ever plan on doing business in China this book might help you avoid being just another naive Westerner who is vulnerable and will be taken advantage of. If you’re not planning on dealing with the East this book will still be an entertaining eye-opener that will leave you with a whole new perspective on the production game. It may leave you with a degree of sympathy for Western importers but you can’t help thinking they bring it on themselves. More often than not they underestimate in ingenuity of the Chinese and think they can take advantage of them. China uses this to its advantage. While they seek to be feared and respected across the globe they understand that being pitied gives them an opportunistic advantage. If anything, the lesson I took away from this book is to respect the Chinese, don’t underestimate their ingenuity and don’t expect to take advantage of them because chances are they will win. It goes both ways though. They need our business as much as we need theirs. If East and West respect each other mutually then everyone will benefit.